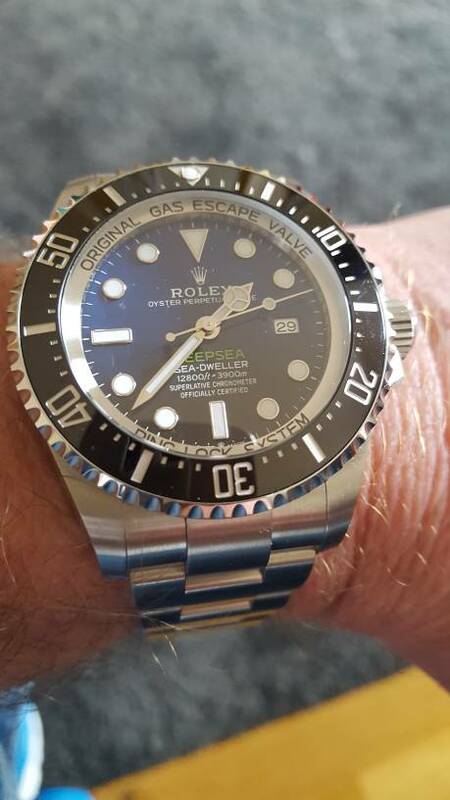 On Sunday walked into an AD to try and get my name down for a SS GMT on my 50th birthday (2 years away). Walked away with what must be one of the last new 116710LN’s. Just a random walk in with zero buying history. 99.9% chance of achieving the square root of f all. Painful on a day off! Never happens when you try make it happen, only by chance. Annoying! went into a dealer in Italy the other day, an Asian chap was trying to buy a watch they had on display - they refused to sell it to him! I'd echo this. Almost zero chance of success when you go deliberately. Just enjoy your day off! Just asked the Rolex outlet in Heathrow T4 - apparently they have a gold Daytona if anyone is looking out for one? Always surprised these aren’t more sought after than they are. GMTc in AD in Milan at Italian RRP. Do you know what dial was on that watch? No, I didn’t ask as it’s not a watch I’m interested in. Who says Rolex are in short supply? Loving your dressing table Rajen!! The pic is stolen from Instagram. Hard to imagine someone having this kind of personal collection. May be Mike Wood or HM can put together something like this but this is just nuts. They are all fake.. dealers stock.. obviously one of the Chinese distributors..!! 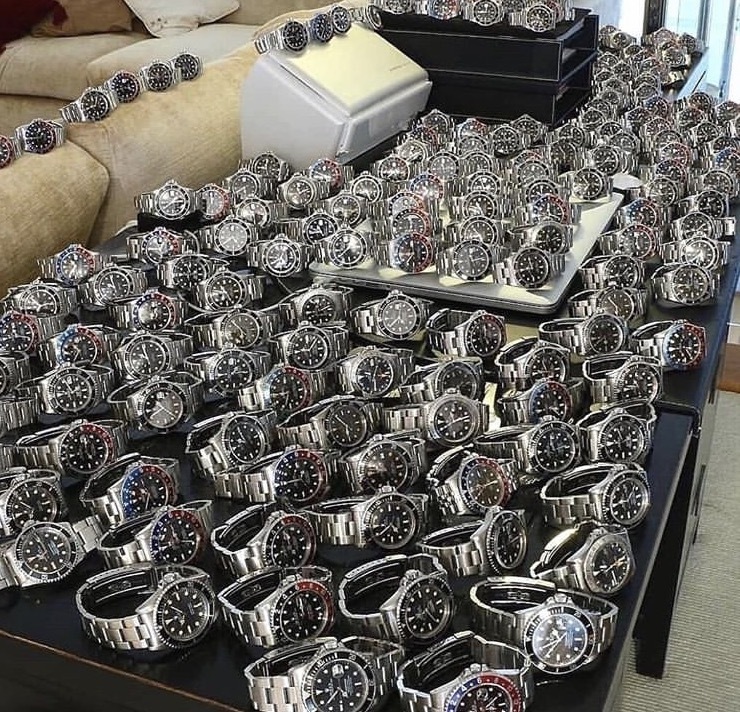 He would not have that furniture if he had those watches!! Almost the case in my room!! Although only two Rolex! Exp 1 in goldsmith's Watford. Polar Exp2 at Heathrow, first one of these I've seen in a window for ages and suspect it's going to be gone by the time I post this! If anyone sees the white gold Daytona on oysterflex ref 116519LN available at a U.K. AD please let me know! Someone I know in London wanted one of those. Ended up driving to Manchester one day for the RG on Oyster. Hard to find. White dial OP36 at T3 tomorrow. Picked this up in Victoria square this morning. Not really much help to anyone looking for a purchase? Explorer 1 in the window of Whittles as of an hour ago. Not seen one in there for a while.